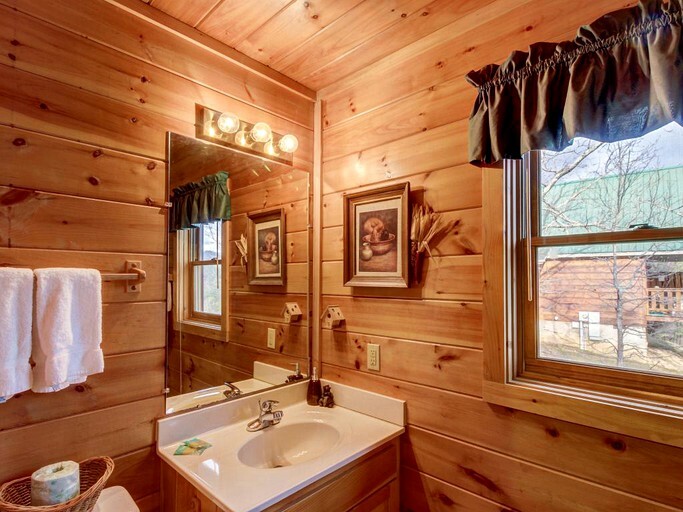 The cabin was so clean and welcoming! 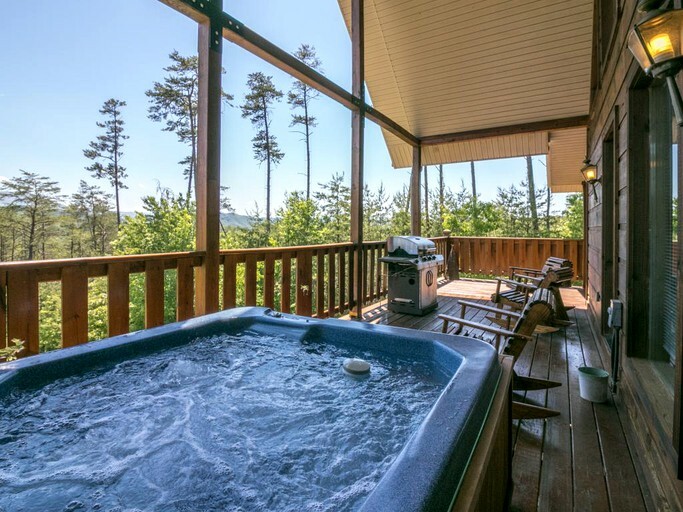 Views were also nice! 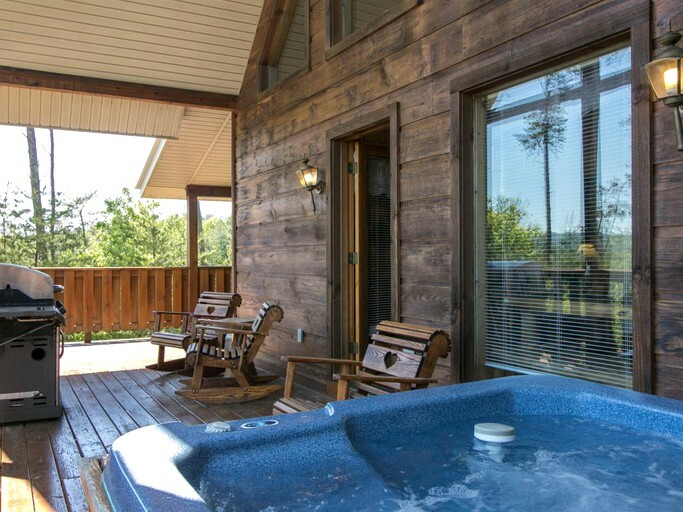 I will definitely be coming back to this cabin when I plan another trip to Pigeon Forge. 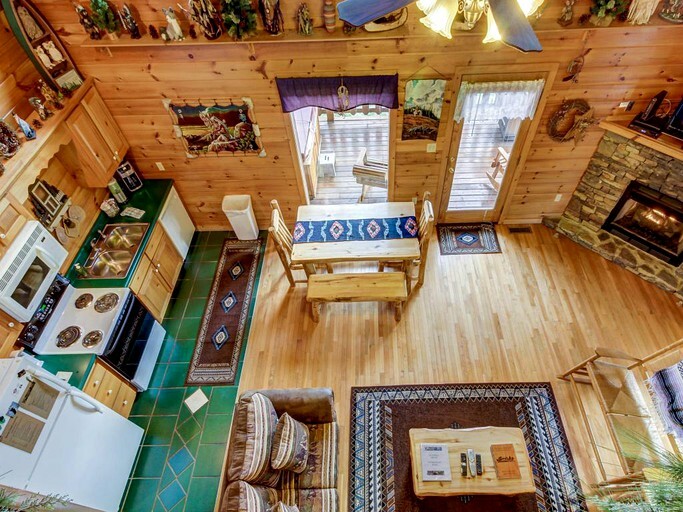 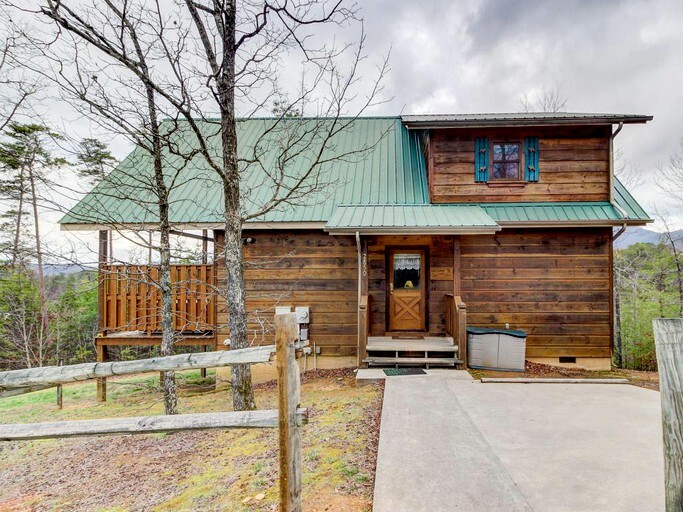 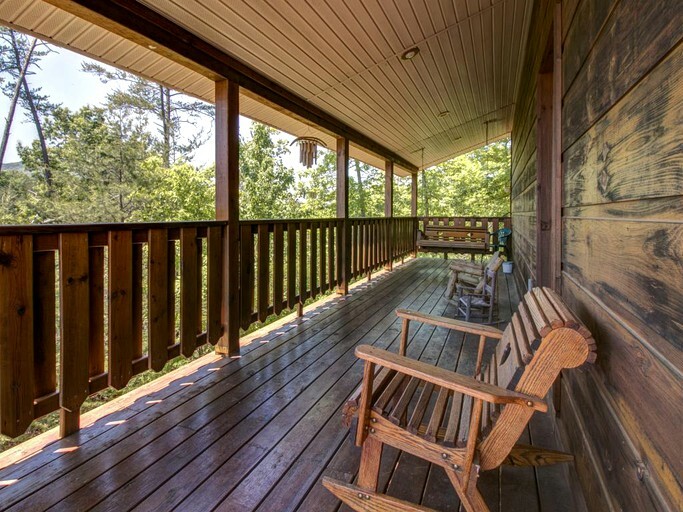 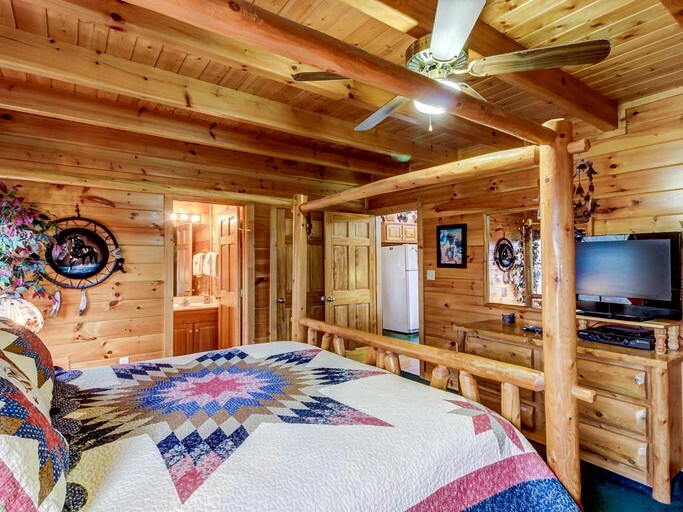 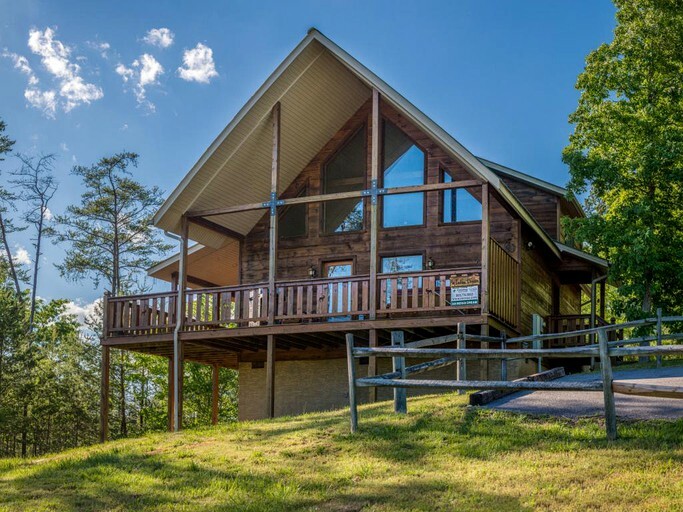 This beautiful log cabin in Sevierville, Tennessee has plenty of space for up to six guests to enjoy a fabulous getaway. 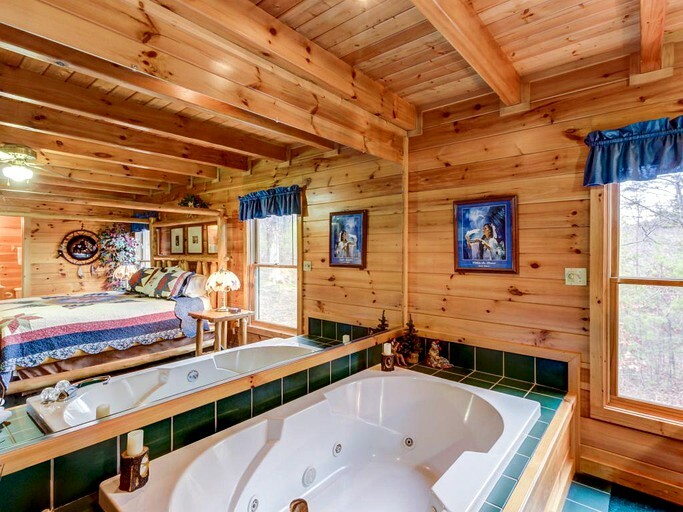 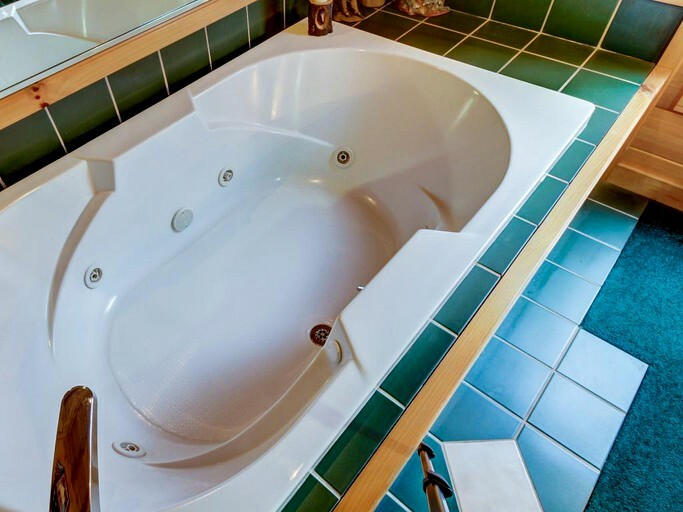 The cozy, tastefully decorated master suite has a huge, king-size bed, and its own deluxe bathroom, with a fantastic Jacuzzi tub. 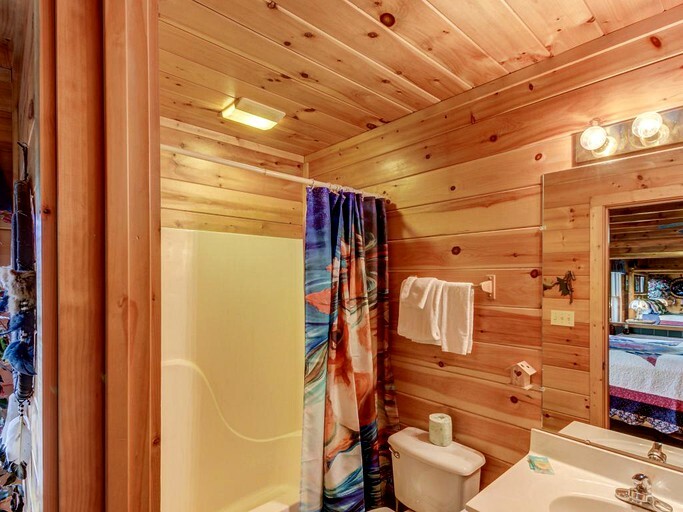 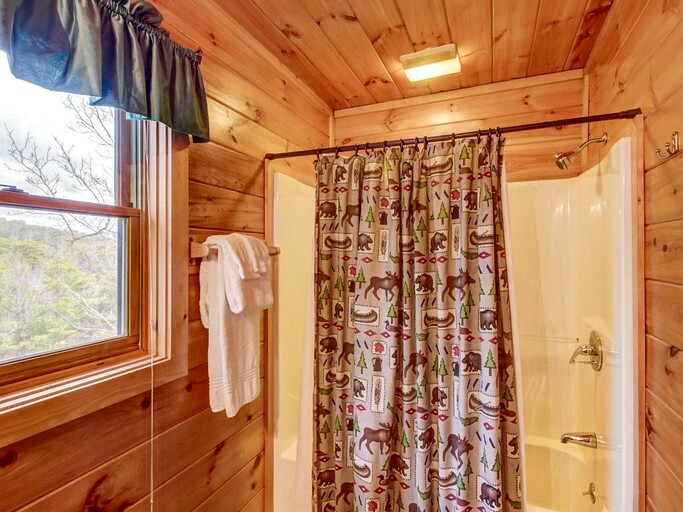 The cabin also features two more modern, stylish bathrooms, both with a bath tub and a shower. 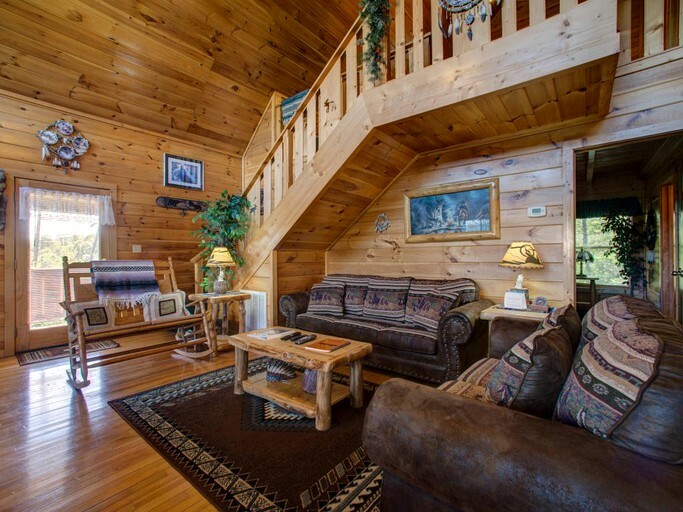 There is no shortage of places to sleep, as the property boasts two large, comfy sofa beds, in the loft and the living room. 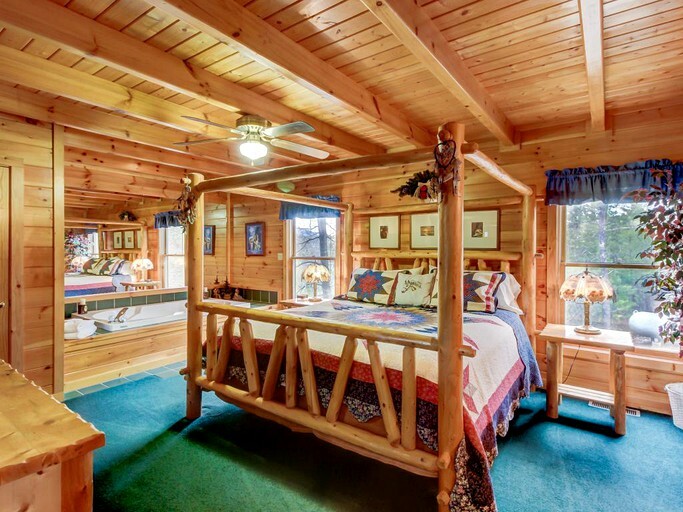 The atmosphere in the cabin is welcoming and serene. 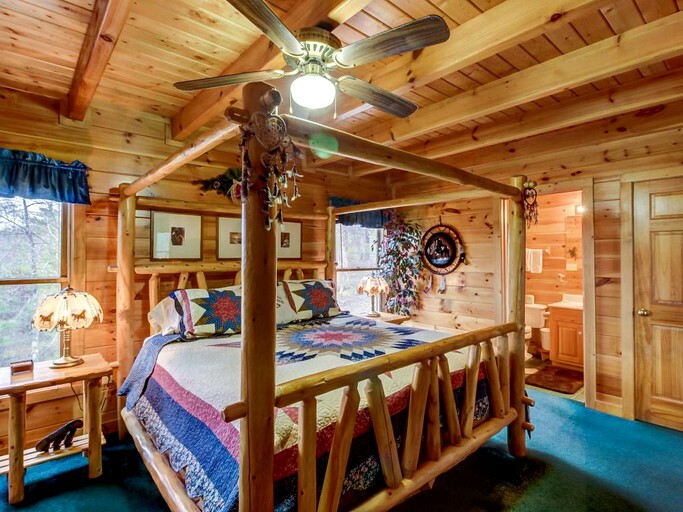 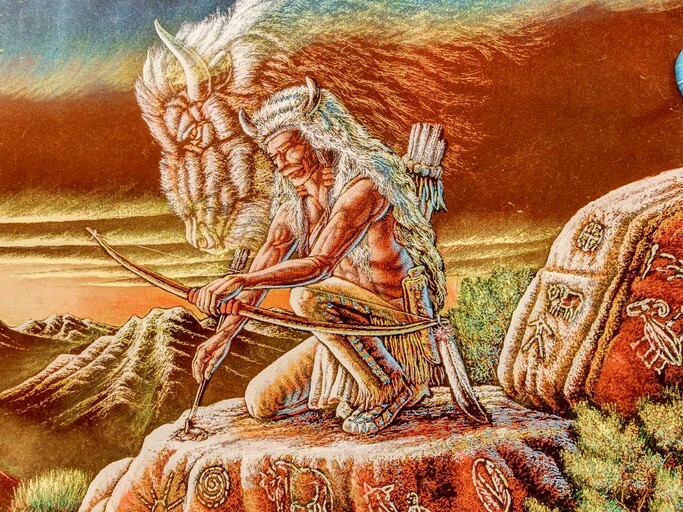 The huge windows let in lots of natural light, and the Native American-inspired decor is warm and inviting. 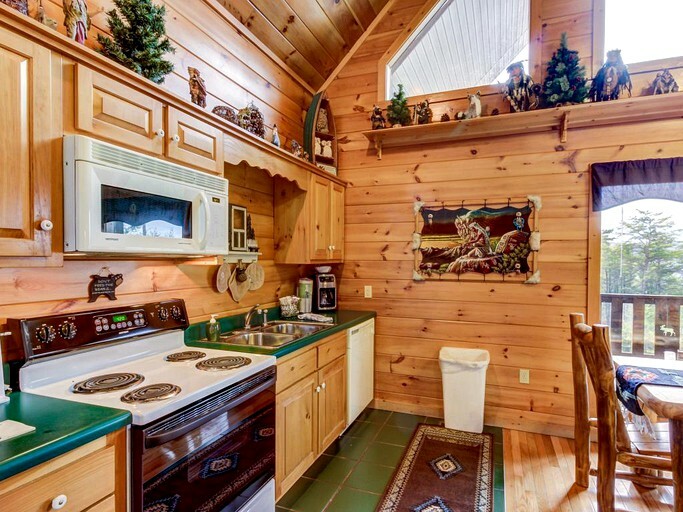 During the cold winter months, the fireplace ensures that guests stay nice and snug. 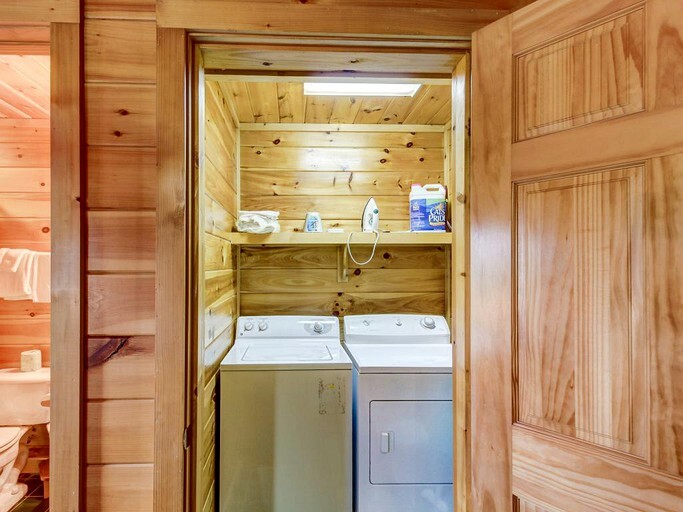 There's also air conditioning for the heat of the summer. 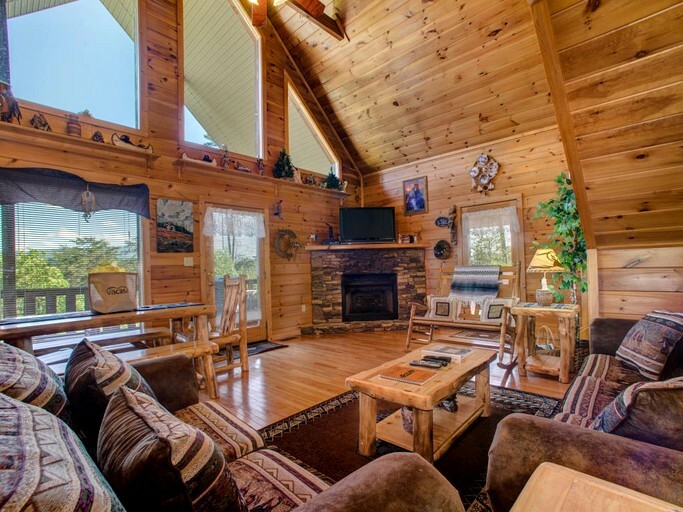 The lounge area, with its generous, plump, leather sofas and roaring fire, is the ideal place for enjoying evening movies, or drinks and chats. 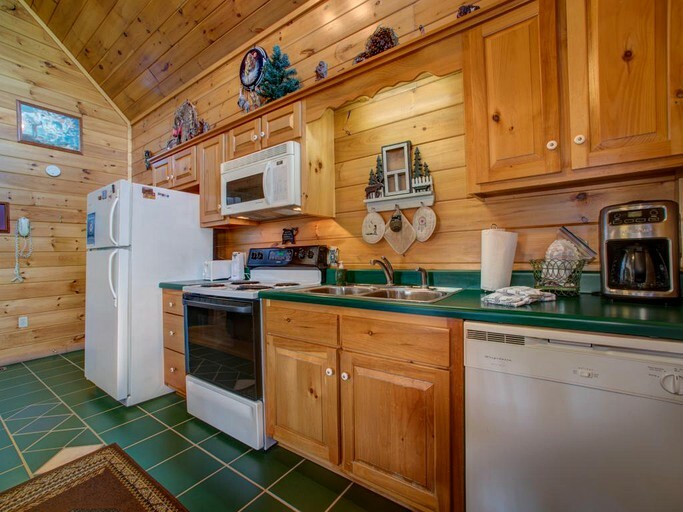 There is a large, flat screen TV and a DVD player for when guests are in need of some downtime. 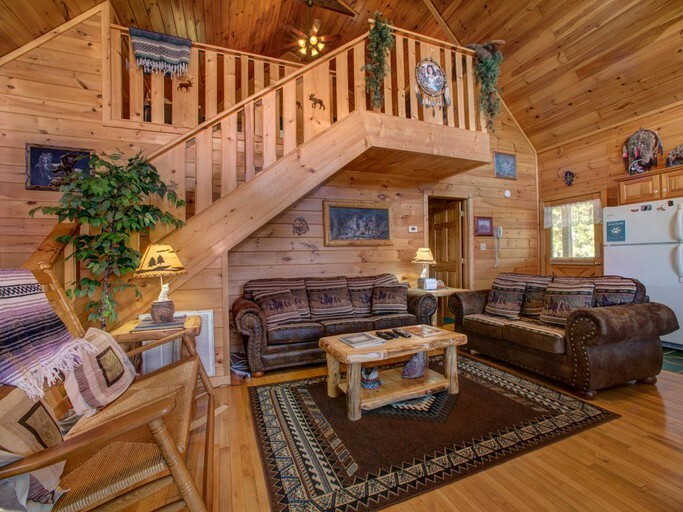 An additional space for relaxation and entertainment comes in the form of the superb loft area. 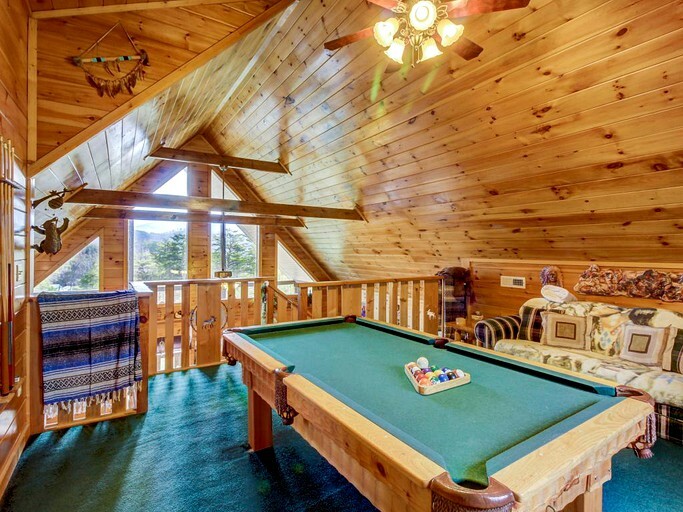 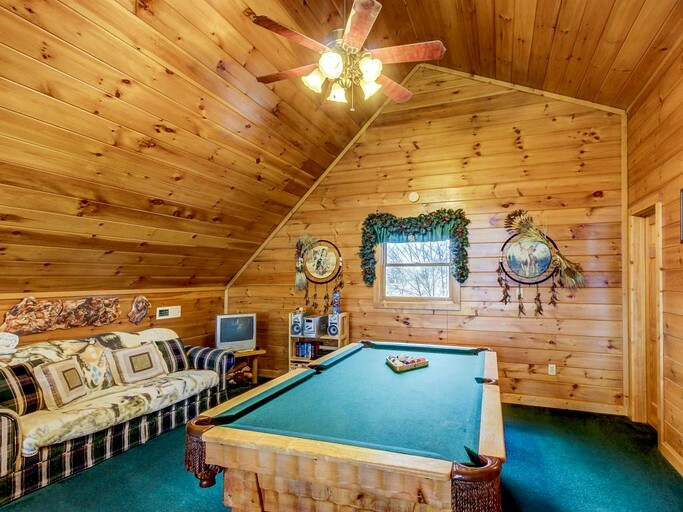 Here, guests can enjoy a lively game of pool, or recline on the sofas and watch some cable TV. 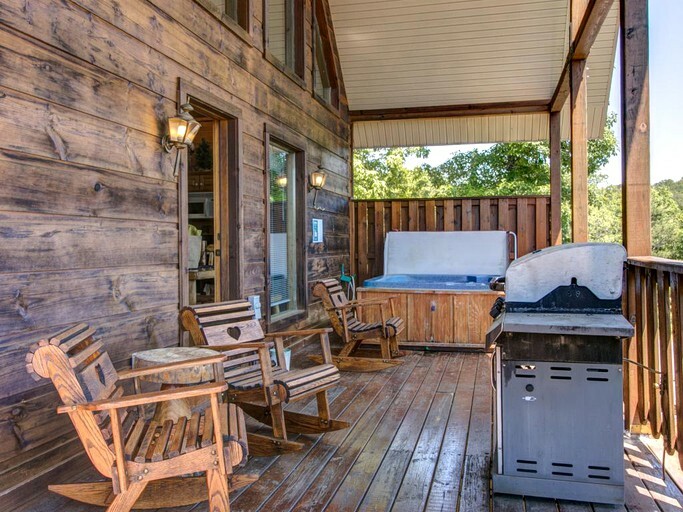 The property has handy features, such as air conditioning and a washer and dryer for clothes, as well as Wi-Fi for guests who want to stay connected. 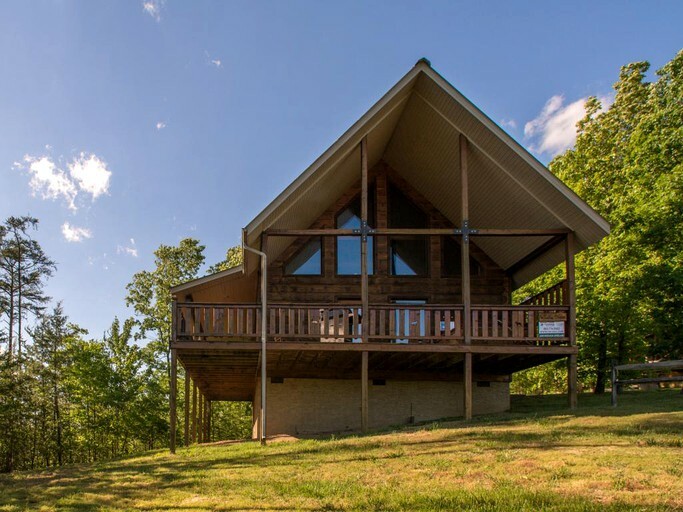 A spacious living area comes complete with a large stonework fireplace, a big flat-screen TV and DVD player, and ample sofa space for all six guests. 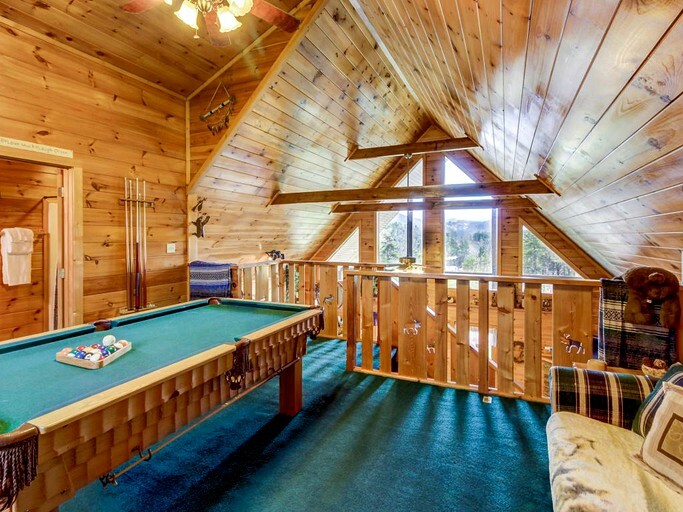 In the upstairs loft, guests will find a pool table and a second TV to keep them entertained. 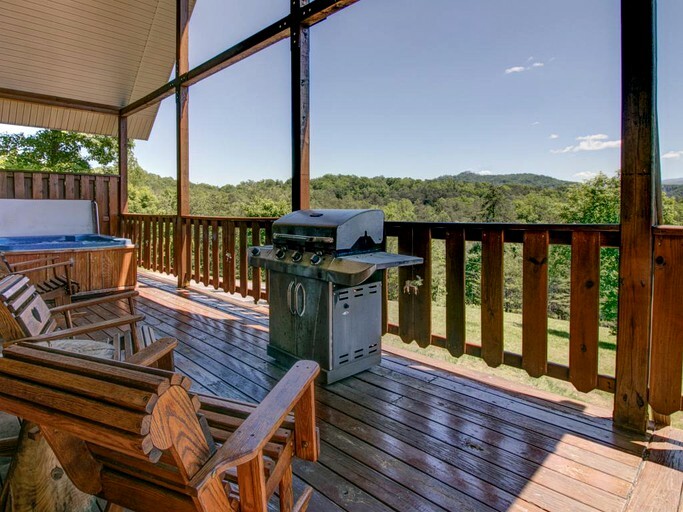 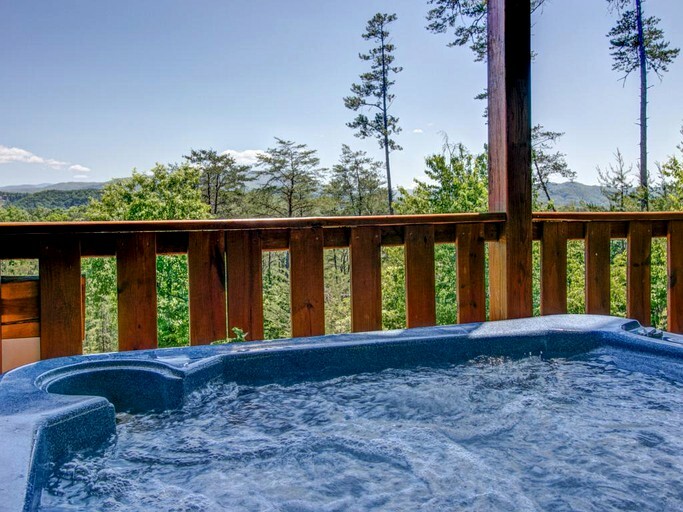 Glampers can enjoy a luxurious break, away from it all, in the fantastic setting of Sevierville, Tennessee. 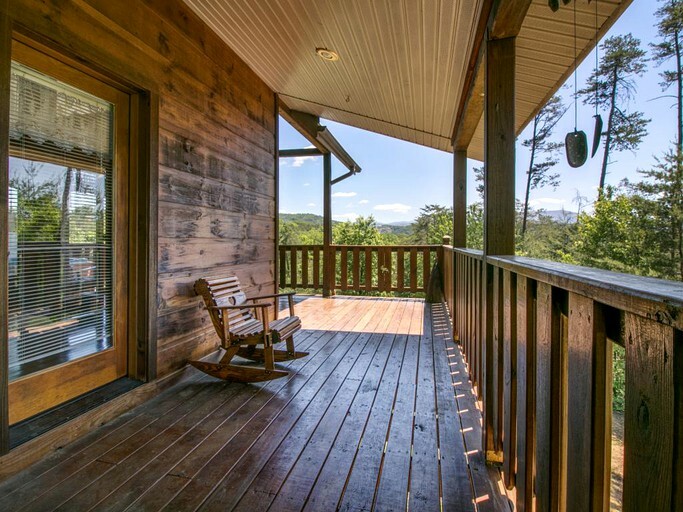 This cozy log cabin for six is found in the shadow of the majestic Smoky Mountains, only minutes from the entrance to the National Park. 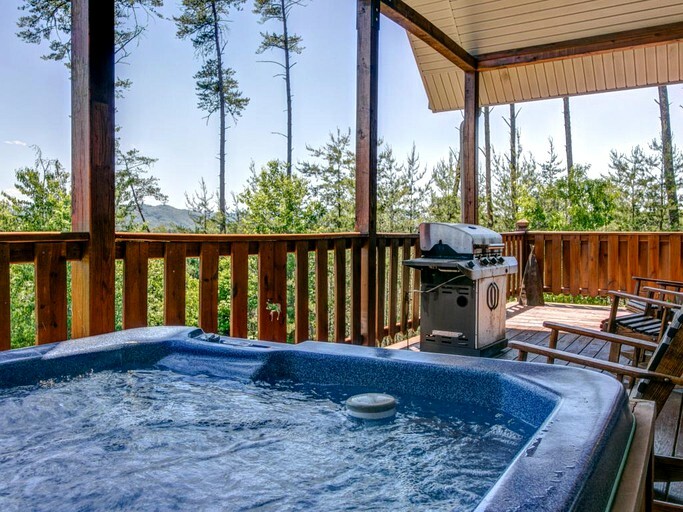 This is the perfect spot for those in need of a rural retreat, encompassing mountain trails, meadows, and woodland. 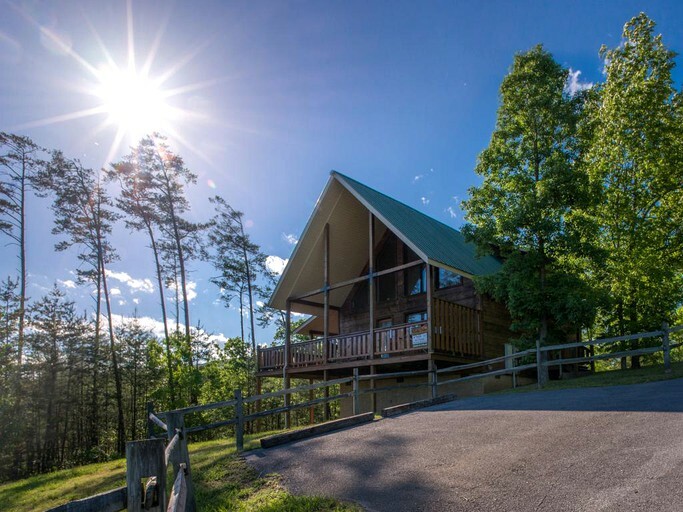 Whatever the season, this is a fantastic place, with so much to see and do. 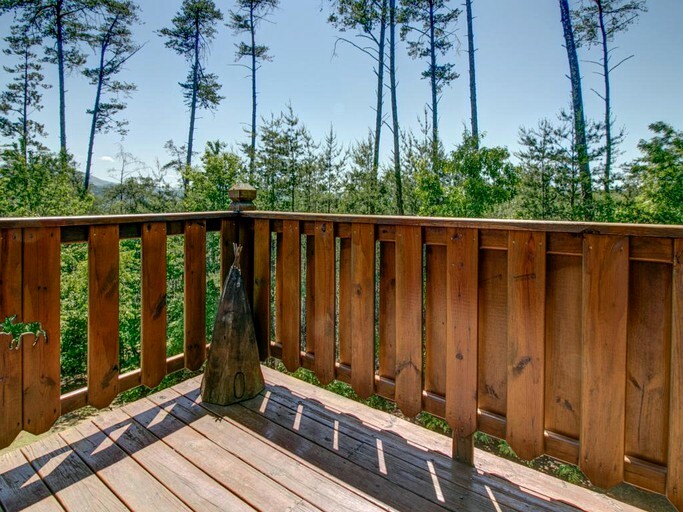 It’s a very short drive to the colorful towns of Pigeon Forge and Sevierville, with their many attractions.